We happen to think our brand new Hurdle design is pretty fab, so we went ahead and used our special tie dye bands that we got in Arizona. It’s a tiny bag, so we only use them on designs that we’re crazy about. We came up with this Rainbow Loom pattern just a few days ago. 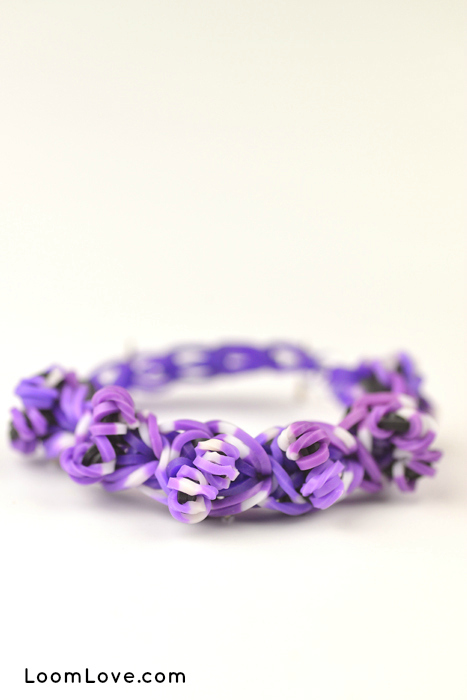 It is inspired by our Pom Pom and our Squiggle Bracelet. 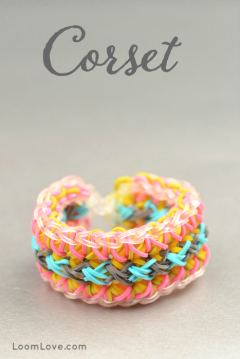 Hi, this bracelet is really cool! I absolutely love it and everything else that you do! It’s SOOO amazing!! Plz keep posting videos????! 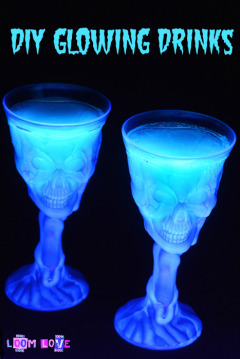 I made one with neon glow in the dark bands. OMIGOD!!!!!!!! 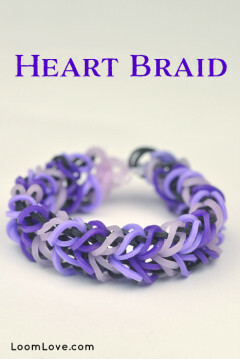 Another awesome design, loomlove! I love your bracelets, they are so cool! This bracelet is so unique and pretty. 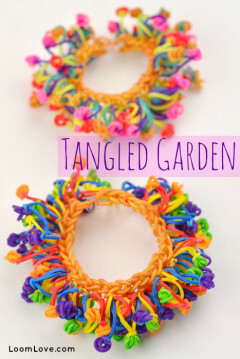 I love those tie-dye bands, where can you get some? Hi! I’m Mara and I’m a #1 fan of your blog/website! 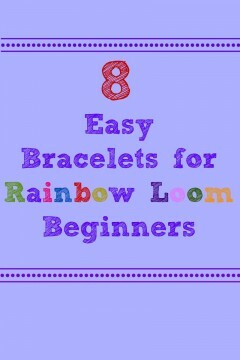 I love waking up and checking loom love for new patterns, I’ve made almost all except for a few! I recently decided to start my on blog and I have a few questions if you don’t mind. What website do you use for your blog template and website? I live in Arizona and I’m allways looking for new bands, were did you find the tie dye ones? I recently created a original braclet pattern and was wondering if you guys would be willing to check it out. If you have any advice I would love to hear it! I hope I wasn’t to inquisitive. Thanks so much!! I used green and yellow for the 4 times wrapped cap band and white for the diamond, now my bracelet looks like it has tennis balls on them!???? Hi loom love I love ????????????????????? ?your blog I have even made a little pig with the scented looms I hae nearly made them all can’t wait to see what your next design is ???????????????????????????????????????????????????????????????????????????????????????????????????????????????????????????????????????????????????????????????????????????????????????????????? Can’t make it with my type of loom…again…but I do adore the style! Wow, nice design and nice nails Madelyn! AWSOME bracelet!!! Love it soo much!! why can’t i see the video??? 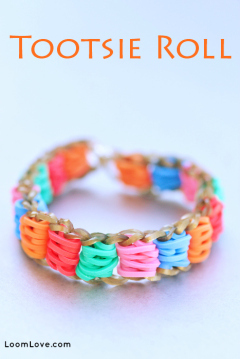 great bracelet,surely going to make one.Loom Love,you have lovely ideas.